The Lagos State Physical Planning Permit Authority (LASPPPA) on Thursday said all landed property and housing developments within the jurisdiction of the state were in the custody of the state government. LASPPPA’s General Manager, Funmi Osifuye, made the clarification in an interview with journalists in Lagos. 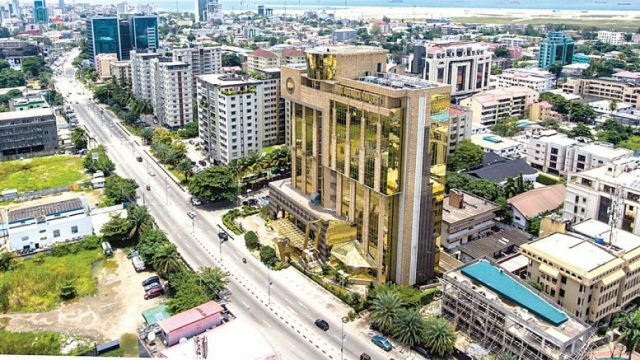 Osifuye said that every private building (residential or commercial purposes) and the Federal Government acquisitions within the state fall under the purview of the Lagos State Government. According to him, every developer or property owner in the state must comply with the specifications of the state government’s Ministry of Physical Planning and Urban Development. “LASPPPA, in conjunction with the Lagos State Building Control Agency (LASBCA), have statutory right over all Federal Government property acquisitions within the state. “The issue was taken to court during the administration of the former governor, Babatunde Fashola and Lagos State Government won. “In line with the Lagos State Urban and Regional Planning and Development Law 2010, it was then established that every property certification issued by the Federal Government before 2003 remains valid, while subsequent certification, validation and regularisation will be done through the state government. “It stands that Lagos State Government has the responsibility to safeguard lives and property in the state, irrespective of private or Federal Government acquisition, and also collects revenues therein. Osifuye said that the Land Use Act of 1978 stated that every land in a state solely belongs to the governor. “For instance, if there is incidence of fire outbreak, natural disaster or building collapse in a Federal Government Estate within a state, will the government at the centre deploy fire officers from the Federal Capital Territory to calm the situation? “Is it not the state government that will immediately send the responsible authorities to save lives and property and equally restore peace to the estate?,” he asked. Osifuye urged Lagos residents to contact either the agency’s district office or head office whenever notices for auditing of buildings, contraventions such as illegal conversion or non-compliance with approved permit is served. “This is necessary to avert loss of fund through payments to the wrong person, quacks and impersonators. “The agency’s monitoring officials in the field are not supposed to collect payments of any kind from the developers or owners of property. “Every transaction is done through the banks, in connection with the Head or District offices, where it will be duly receipted. “The monitoring officials can be redeployed at any time, and anybody can pose as a member of staff of LASBCA or LASPPPA,” Osifuye said.